First is the belief that the mother will abandon or kill the fawn because it was touched. This is a fallacy. The mother will NOT abandon her fawn because she smells you on her fawn. Human scent on the fawn can, however, reveal the fawn’s location to a predator, such as a fox; so touching should be avoided unless absolutely necessary. The second misunderstanding comes from the finder’s not seeing the mother after the fawn was discovered, which suggests that the baby was actually abandoned. The mother’s absence is part of the fundamental biology and defense of the young deer. 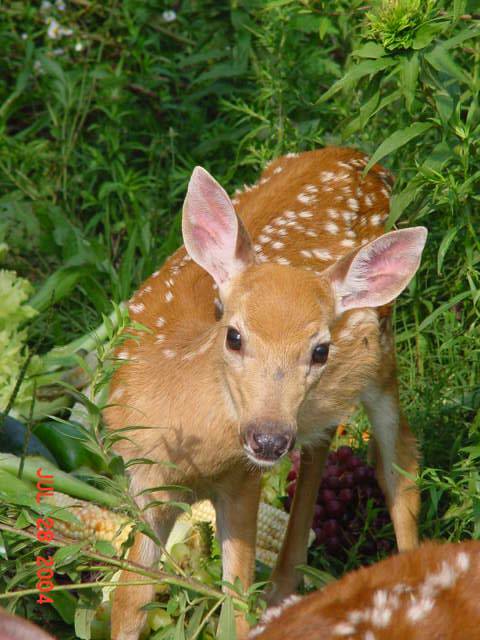 A fawn’s scent glands develop as it matures, so a young fawn will have no body odor. This, along with visual camouflage, protects it from predators. The mother doesn’t want to place her odor in the area, so she only visits for short periods, often during the night. Her presence endangers her baby, so she must leave it alone. A fawn can be seen alone in the same area for days or weeks at a time with no evidence of the mother. The fawn’s continued health is the only indicator that it’s receiving care from its mother.